Wedding Jewelry Handcrafted Customize Swarovski Lite Topaz Crystals with Ivory Pearls Necklace Set. 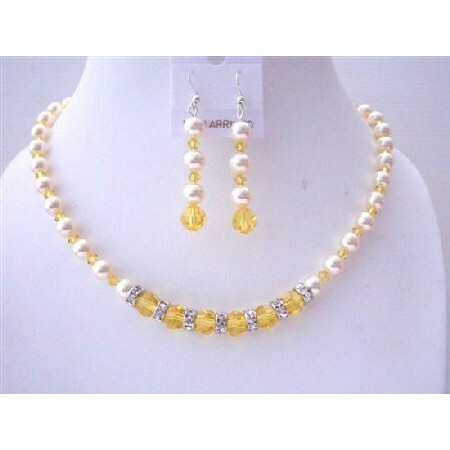 Gorgeous Necklace Set is made with Swarovski Ivory Pearls & Swarovski Lite TOpaz (Pumpkin )Crystals. Pearls & Crystals are the perfect wedding accessory appropriate for brides members of the bridal party & guest.